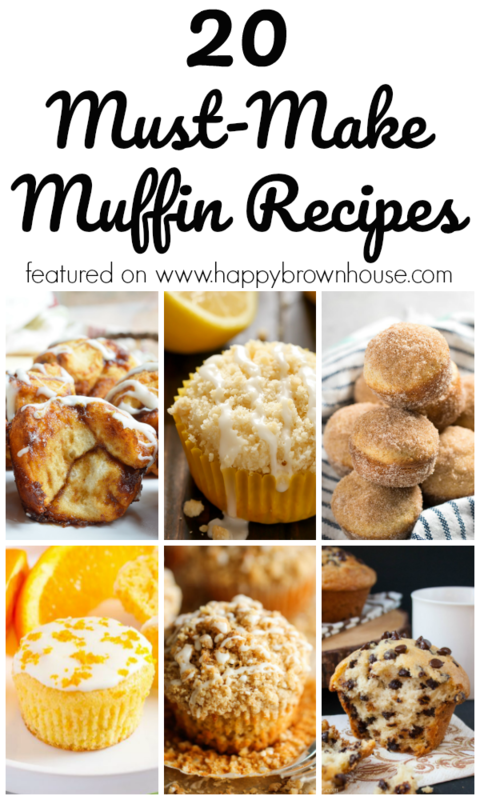 One of my kids’ favorite breakfasts is blueberry muffins. Sometimes I make them from scratch, but if my husband is making them they are usually from a packet. Blech. I guess I can’t complain seeing as he is making breakfast after all. I often get bored with the same ole’ thing. I like variety. I can’t always make blueberry muffins because I want something different. 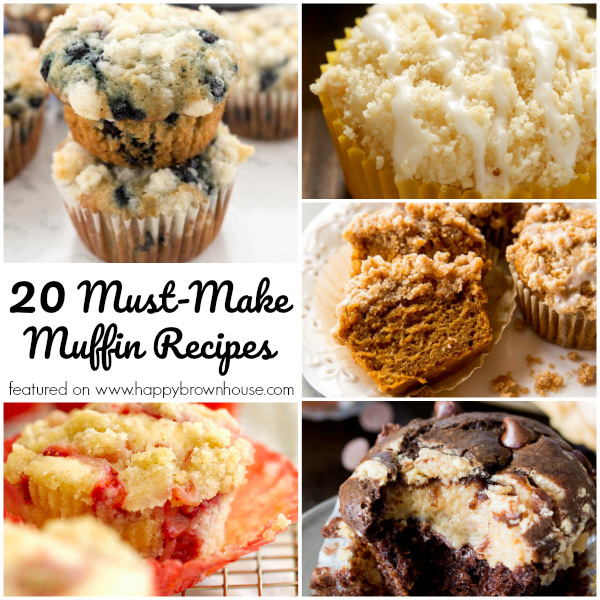 That’s where this list of 20 Must-Make Muffin Recipes comes in handy. This list helps keeps it interesting. Hopefully they won’t add to my muffin top…because there’s enough of that already.